75-year-old John Morgan, a retired joiner from Kendal, has figured prominently in Lakeland sport for over fifty years, both as a competitor and official. Like Roger Ingham, who was profiled earlier this year, John has not been content to just turn up but has additionally put a tremendous amount of time and effort back into sport. Born at South Shields in 1932, he was evacuated to Kendal in 1939. During the early '50s, he began fellwalking at weekends, taking the bus from Kendal to Ambleside, Langdale or Armboth Lane Ends at Thirlmere. This led him to enter the second Lake District Mountain Trial in 1953 when it was run over a 16-mile set course from the Old Dungeon Ghyll pub in Great Langdale, taking in Bowfell, Esk Pike, Scafell Pike , Great Gable, Esk Hause and Rossett Gill. John finished a highly creditable 9th out of 15 starters in a time of 4 hours 28 minutes 6 seconds. 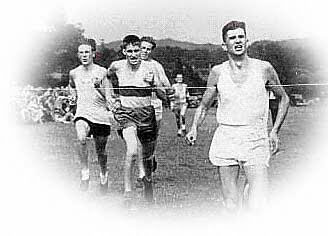 It may be of interest to add that the 1919 Grasmere Guides Race winner, Jack Pooley of Hawkshead, had competed the previous year at the age of 59 and had come in 16 th out of 21 starters, while in 1954 Bill Teasdale was allowed to compete unofficially, running without a number, and was last to start and first to finish by half-an-hour. 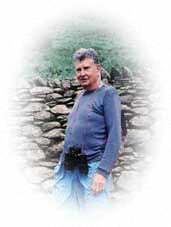 John's other competitive long-distance run was achieved in the 1968 Fellsman Hike, an arduous course of almost 60 miles taking in eleven summits in the Yorkshire Dales, wearing boots and carrying a rucksack. John had turned up in his normal fellwalking garb and was surprised to note the ultra lightweight gear of some of the other entrants, including maps cut away to cover the event area only. At the kit check at Kingsdale Head, between Whernside and Gragareth, an over-zealous official seemed inclined to bar John from competing further as he recognised him as a professional but finally made do with just criticising some of his gear. John eventually finished a splendid 18th in 19 hours 20 minutes out of 306 starters, of whom 130 failed to finish. Meanwhile, back in 1954, John had discovered Lakeland village sports and shows and had begun to compete on the grass track over 880 yards, the Mile and Three Miles. There was no Two Miles event at that time, nor were any of the Shows held on a Sunday, the majority taking place on Saturdays; with the odd exceptions like Grasmere and Ambleside during the week. There was no need to travel to Scotland , recalls John, as there were enough events in the Lakes, though competitors from Yorkshire would keep quiet about their own events in the Dales. John did his training on the Jubilee Field at Kendal on Tuesdays, Thursdays and Sundays. If a Sports had no track events, I would enter the fell race. Lupton and Lowgill were held on the same day, the second Saturday of June, and after competing at Lupton in the afternoon, I would cross the Lune Valley to run in the evening at Lowgill, on the northern flanks of the Bowland fells. The fell race at Lupton used to go up Scout Hill but this Sports is no longer held. I mainly raced on the track at these events but would sometimes do the fell race. John competed regularly at Grasmere and Ambleside, contesting the Mile and Two Miles at the former and the Half Mile and Mile at the latter. After finishing 4th and 3 rd in the Grasmere Mile in 1954 and '55 respectively, he eventually triumphed in 1956, while ten years later he ran a faster time to gain 2 nd place. He also placed 2nd and 3 rd in the Two Miles during the early '60s, with two 4th positions in the late '60s. Like most professional Lakeland runners, John did eventually get around to competing in both Yorkshire and Scotland . One afternoon he placed 2 nd in both the Mile and Half Mile at Grassington in Wharfedale, then rode his motorbike over to Hawes in Wensleydale, where he deadheated in the Mile with Johnny Dawson, Appleby. North of the Border, he won the Mile at Annan on one occasion from a rival who cheated by running inside him off the track, his prize being £10. He also competed in middle distance events at the famous Powderhall Sprint at Edinburgh (now held at Musselburgh) but without achieving any success. Another race which particularly stands out in John's memory took place at Egremont Crab Fair during the early '70s on the occasion of Geoff Tinnion's last event before emigrating to Australia: Because of this, the judges were keen to see him win, but with two of us going for the tape, I got there first and was afterwards impressed when Geoff's trainer, Fred Johnson, came over to me and shook my hand Dennis Bevins, Haverthwaite, leads Fred Johnson, Dearham, John Morgan and George Burrows, Rusland in the 880 yards at Rusland Sports, 1956and said, Well done!' He was a real sportsman. Tinnion was an outstanding runner who often ran from scratch; he won the Mile at Grasmere in 1963 and placed 2 nd in the 880 yards the following year. Coincidentally, John's last competitive event took place at Egremont five years ago when he was placed 3rd in the Mile (now 1600m) at the age of 70. Another event which John contested away from the running track was the World Coal Carrying Championship, held principally at Gawthorpe, near Ossett in Yorkshire. Other versions were held at the Kendal Gathering Gala, Aughton Pudding Festival, Penrith Gala, Lowgill and Morecambe. John's best performance at Gawthorpe, carrying a 1 cwt sack over a 1,012 metre uphill course from the Royal Oak pub to the village Maypole, was 2nd to the Leeds window-cleaner, Gordon Froment. Gordon won the title six years in succession, 1966-71, and was also an outstanding runner at Northern sports meetings, winning the 880 yards at Grasmere in 1966. In addition to local coal miners, the event attracted entries from other track and fell runners like Tony Nicholson, another multiple winner, from Troutbeck in Cumberland, and Reuben Parsons (Levens) who triumphed at Morecambe in 1969 over Keith Summersgill (Skipton) and John Morgan, who took 3rd place. Besides competing himself, John was also coaching his daughter, Tracy, and her friend, Mandy Elvey, also of Kendal, during the '70s. Other girls would often turn up for these sessions. Tracy won the 90m girls' event at Grasmere in 1977 after finishing 3rd over the same distance atJohn Morgan Image 5 Ambleside the previous year.Two other local girl athletes, Marie and Susan Morgan, were the daughters of John's brother Henry and his wife Shirley, while their son Ronnie was a good cross-country and fell runner. When Kendal Sports was inaugurated in 1968 on Netherfield's football ground, Ronnie tied with another Kendal runner, Peter Proctor, for first place in the Under-17s cross-country race. 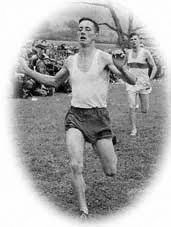 He also won the Youths' 880 yards at Jedburgh around this time, with John himself placed third in the Mile to Colin Glen, Bathgate, brother of Michael Glen, who established the British One Mile record on a grass track at Keswick August Bank Holiday Sports in Fitz Park in 1955, with a time of 4 mins 7 secs. 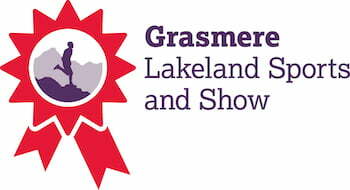 Tracy and Mandy were the first girls to compete in Cumberland and Westmorland Wrestling at Lakeland Sports. Tracy was first to make a name for herself in this discipline when she was placed third in the under-16s at Torver between two Brocklebank lads from the famous Tewitfield family of wrestlers. In 1978, Tracy was one of six girls at Longlands School, Kendal, to be banned from competing against classmates at sport because teachers knew they took part in meetings like Grasmere and Ambleside and must therefore be regarded as professionals. John and other parents were understandably very angry over this and John wrote to the Ombudsman about it. This resulted in Cumberland County Council confirming their agreement with him and stating that the teachers had misinterpreted the rules. An Amateur Athletics Association spokesman declared: 'I have much sympathy with Mr. Morgan and am satisfied that the girls have suffered injustice' . The teachers, however, were not too happy about this verdict and even considered taking legal action against John! Said he: All children should be treated alike at school, merely as schoolchildren and not as amateurs and professionals. John began organising races and officiating at various village sports around 1968, while still competing himself. Together with Tommy Airey and his wife Avril, he began promoting the sports at the historic Kendal Gathering Gala the following year, and he continues to be active in this capacity. 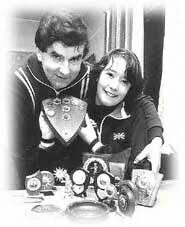 In 1973, John introduced to the Gala his Paddle, Pedal and Patter event for junior teams. He was inspired by his knowledge of the old Lakeside-Gummers-How race (revived in recent years as an amateur event), in which competitors would row across Lake Windermere, run up and down Gummers How, then row back across the Lake. His Kendal version involved a raft run on the River Kent, a bike ride and a run up Castle Hill. Two years earlier, John has organised the running and coal-carrying events at the revived Aughton Pudding Festival at Oaken Head Farm, Halton, near Lancaster . This had last been held in 1886, prior to which it had taken place every 21 years, but it hasn't been repeated since its 1971 revival. John was also responsible for reinstating the grass track cycle racing at Lakeland Sports which had been banned by the British Cycling Federation. I had a chat with Derrick Tunstall of Burton-in-Kendal , who was in the postal service in Kendal and he was helpful in getting it restarted at Kendal Sports at the rugby ground. The following year, Ambleside and other Sports followed suit. I believe Derrick retired this year as Secretary of the Lune Valley Cycle Club after forty years. The Kendal Sports Committee Winter League was another of John's ideas. This began in 1972-73 with just three events: a fell race up Benson Knott, a cross-country race around Mintsfeet and the Jubilee Fields, and a road race at Burneside, his idea being to test the all-round athletic ability of the competitors. From these three races, the League eventually expanded to cover 22 events and is now promoted by the Helm Hill Runners. John was also responsible for introducing the fell races at the Walna Scar Shepherds Meet, which alternates yearly between Torver, Seathwaite and Broughton Mills. In 1985, John took over as Secretary of the Lakeland Sports Promoters Association, a position which he still holds. He also continues to serve on the committee of the Ambleside Sports Association, as well as officiating for the track races at various other sports meetings. He was an official at Grasmere until track racing was dropped from the programme after the 1997 event. For the past 30-odd years, John has been an unpaid contributor of Sports reports and results to the Westmorland Gazette and the Lancashire Evening Post. It is due to the unswerving dedication of people like John Morgan that Lakeland sport survives in such a healthy state today. Long may he continue to serve the Sports with such distinction.